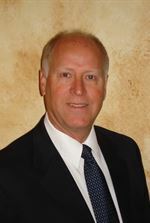 John Thatcher is a registered professional Real Estate Sales Agent in the state of Pennsylvania. Throughout John's career as a Project Engineer for Exxon, a Project Engineer, Supervisor and Maintenance Superintendent for Hercules Chemical, he had a focused interest in Real Estate and Real Estate Development. 21,000 SF renovated commercial strip center. Developed over 100 single family lots in various subdivisions on project since 1999 alone. John was awarded the Economic Development Award by West Jefferson Hills Chamber of Commerce in 1993.